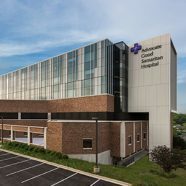 Advocate Christ Medical Center’s new East Patient Tower serves two critical needs identified by the health system during master planning and ED optimization assessments: Expansion of intensive care capacity to accommodate increased emergency and cardiovascular admissions, and consolidation of birthing and neonatal services into a state-of-the-art women and infants center. 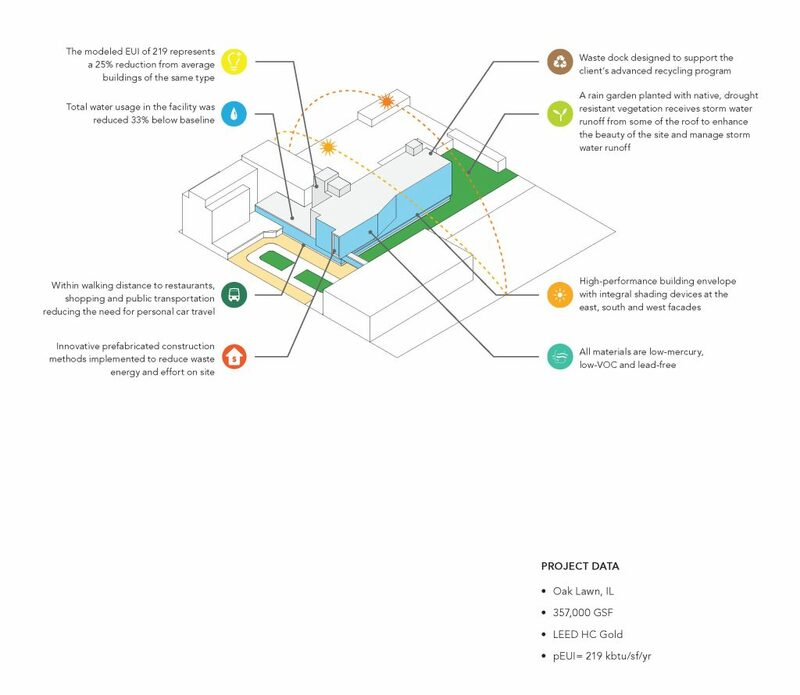 To design and deliver the project, we harnessed a hybrid integrated lean project delivery (ILPD) model where we engaged trade partners from day one of the design process. 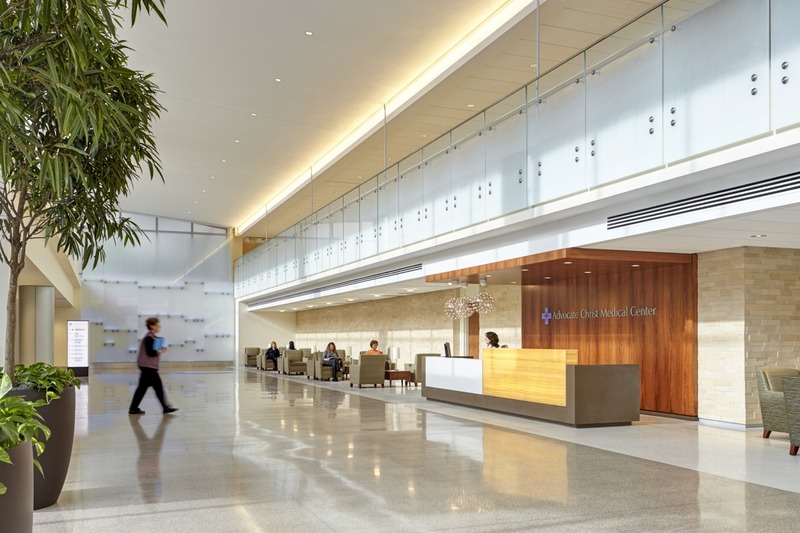 These consultants assisted in design and pricing of the various building systems, allowing us to provide Advocate with options that optimized system design value and stayed within their project cost parameters. 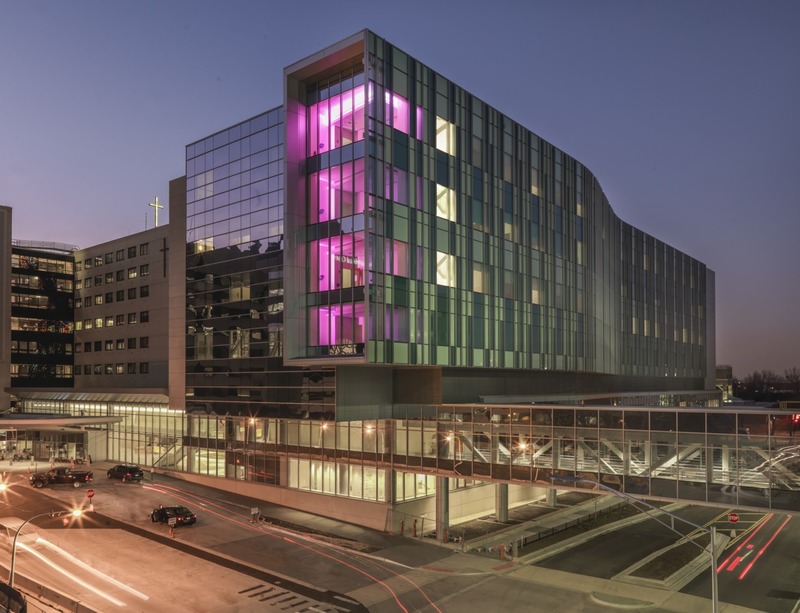 It also helped us identify clash detection issues and expedite the design process by working through architectural details in real time. 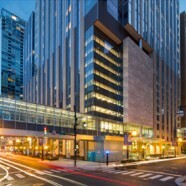 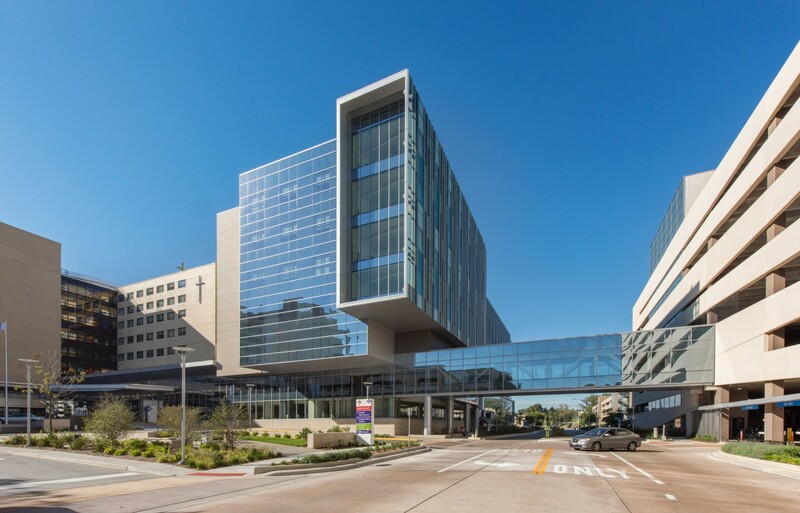 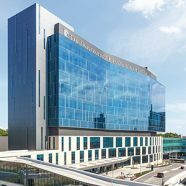 The eight-story patient tower consists of a 36-room medical intensive care unit (ICU); a 36-room cardiovascular ICU; and a 24-unit women and infants center with three operating rooms and 48 postpartum units. 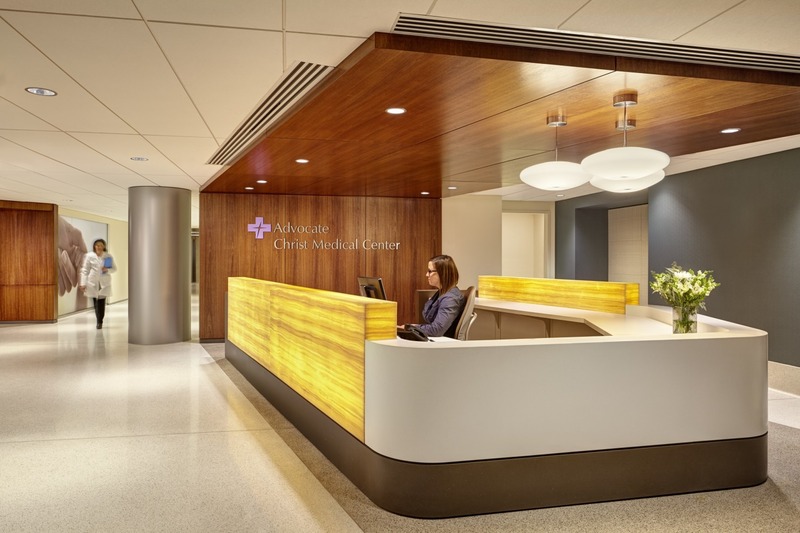 The women and infants center offers modern amenities, including private high-risk rooms, high-tech C-section suites with advanced medical technology and multiple births capacity, as well as state-of-the-art post-delivery suites. 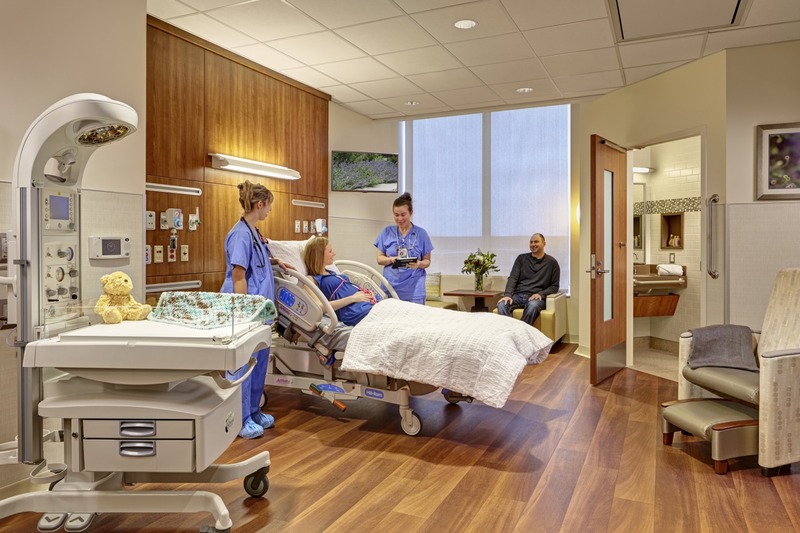 Throughout the facility, a decentralized nursing model allows views of every patient and shortens distances for patient care. 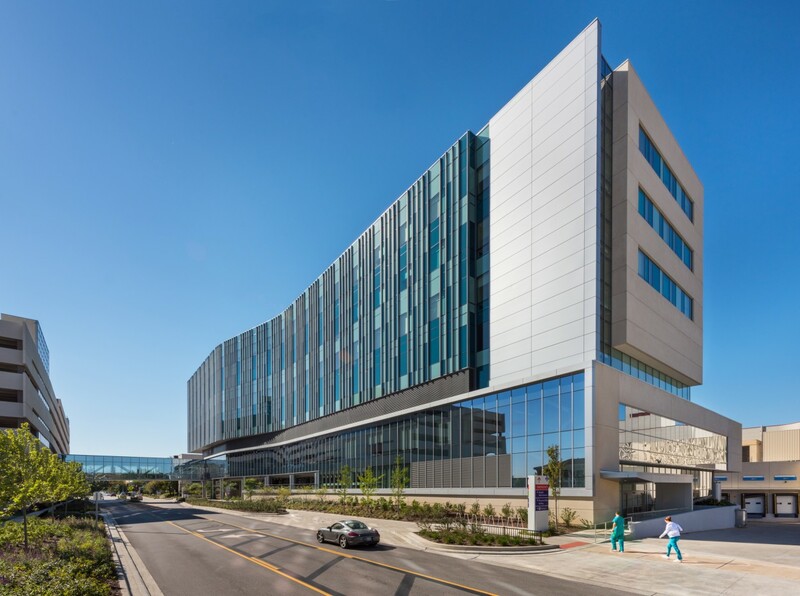 Technology is integrated into the facility to help connect staff to patients and each other and allow for remote patient monitoring. 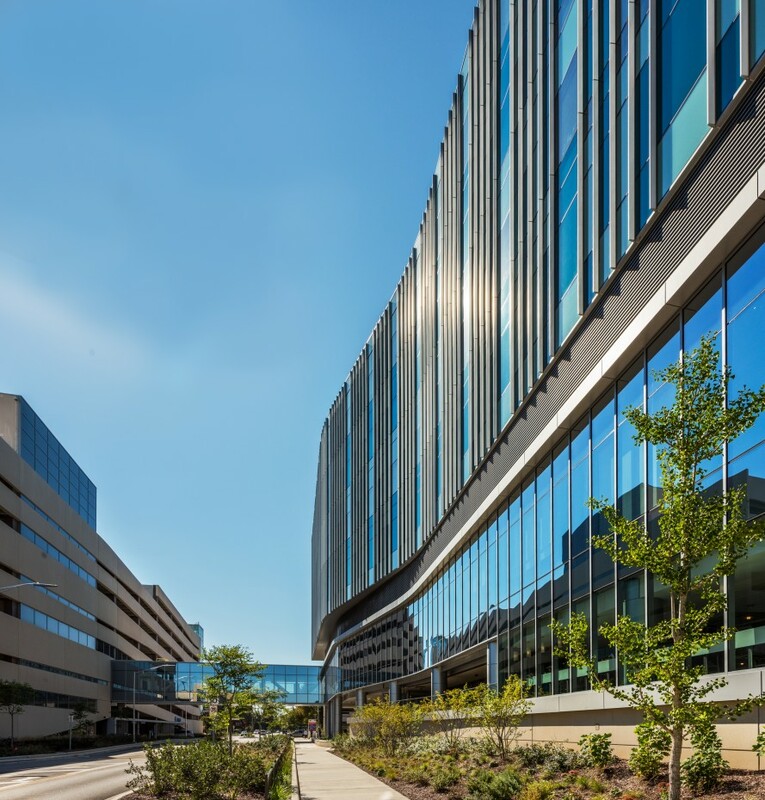 The new tower, positioned at the threshold of the inpatient side of campus, was conceived and executed as the fulcrum of a new campus plan and gateway, presenting an opportunity to reinvigorate the inpatient and visitor experiences despite the modest square footage. 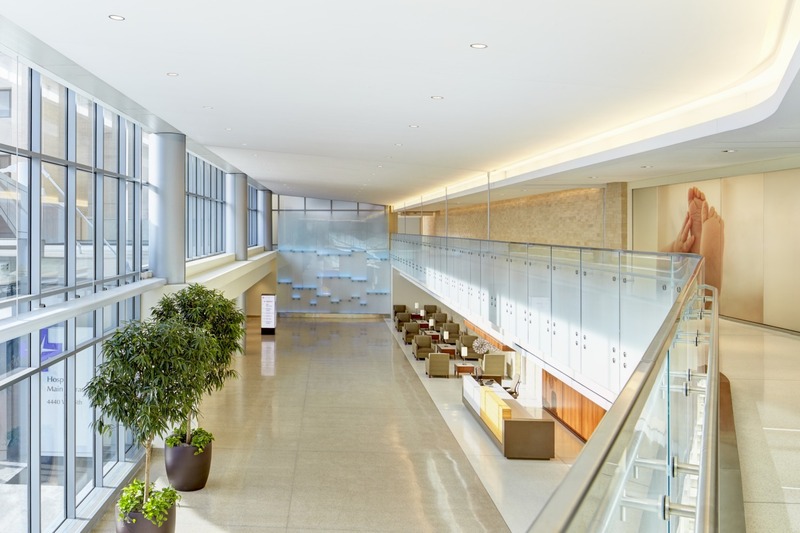 The hospital’s main entry, main parking link, and central ground floor corridors were reorganized to give the campus an uplifting and more appropriately urban image while adding green space and simplifying main circulation routes to make them more intuitive.